The easiest way to get Mythical Mew in Pokémon: Let's Go, Eevee and Pikachu. As you collect Pokémon in Pokémon: Let’s Go, Eevee and Pikachu, you may find yourself wondering how to get Mew. Not only is Mew one of the rarest Pokémon in the game, Mew is also one of the most sought after. Perhaps it’s because of how cute Mew is, or because Mew’s evolution is the powerful Mewtwo. Regardless of why you want Mew, there’s only one verifiable way to get the Pokémon in the game right now. To help simplify the process, we’ve put together a quick guide on how to get Mew in Pokémon: Let’s Go, Eevee and Pikachu! The only way to get Mew in Pokémon: Let's Go is by purchasing the Poké Ball Plus. As stated above, there’s only one way to get Mew in Pokémon: Let’s Go. 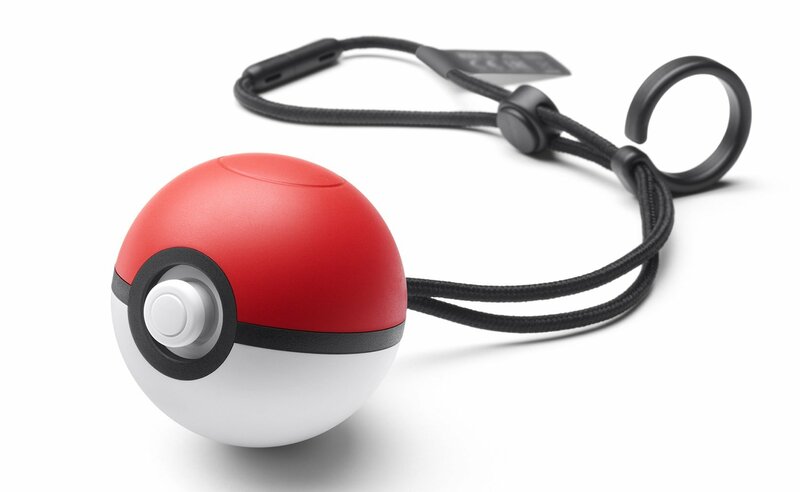 In order to get Mew, you’ll need to purchase a peripheral known as the Poké Ball Plus. For more on what the Poké Ball Plus is and how to get one, be sure to check out our previous guide. In addition to being a cool accessory to have on hand while playing Pokémon: Let’s Go, purchasing the Poké Ball Plus gives you a free Mew in the game. Note that if you were able to catch Mew in Pokémon GO, you won’t be able to transfer that Mew using the Go Park feature in Let’s Go (other non-transferable Pokémon include special event Pokémon like Birthday Hat Pikachu). You also can’t obtain Mew through normal gameplay in Pokémon: Let’s Go. In the future, the official Pokémon website stated that “the ability to claim your gift of Mew may be discontinued at some point after the initial sales period of the Poké Ball Plus.” With the offer of Mew being limited to the Poké Ball Plus, and that offer being only for a set period of time, we highly recommend purchasing a Poké Ball Plus as soon as possible. You can get a free Mythical Mew by purchasing a Poké Ball Plus accessory for Pokémon: Let's Go. Once you have your Poké Ball Plus, you’ll need to connect it to your Pokémon: Let’s Go account (internet connection required). After connecting the Poké Ball Plus, you’ll be able to transfer your gifted Mew into the game. To redeem Mew, open up your Menu and select "Communicate" then choose the "Mystery Gifts" option. After that, you'll see a prompt to grab your gift from the Poké Ball Plus. Select this, then confirm to get Mew. Were you able to purchase a Poké Ball Plus? 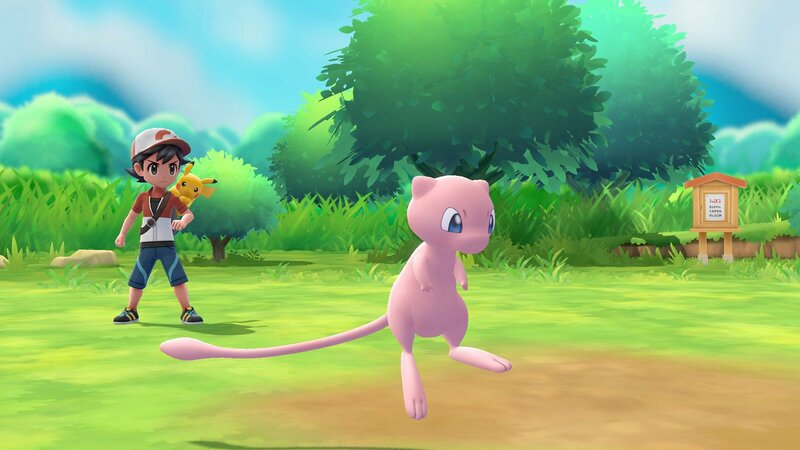 If so, are you excited to claim your free Mythical Mew in Pokémon: Let’s Go? Let us know down in the comments below! For more on Pokémon: Let’s Go, be sure to check out some of our previous guides including what the Poké Ball Plus is and how to get one, how to transfer Pokémon from GO to Let’s Go, and a list of all rideable Pokémon in Pokémon: Let’s Go. By reading through this guide, you should now know how to get Mew in Pokémon: Let’s Go, Eevee and Pikachu!